Impaction means that a campus anticipates more qualified applicants than available spots for which there is adequate state funding. To manage enrollment within current budget constraints while preserving the highest quality academic experience and services to students, California State University, Northridge has declared campus-wide impaction for first-time freshmen and first-time transfer applicants as well as all first-time freshmen and first-time transfers to the academic majors discussed below. This means that, with the exception of the majors discussed below, the University will give priority admission consideration to first-time undergraduate applicants who have attended schools located within a closely-defined local geographic area. Non-local applicants are required to meet supplementary criteria. For more information, see Impacted Undergraduate Majors and Campuses in the California State University. California State University, Northridge (CSUN) campus is impacted for first-time freshmen and first-time transfer students. In addition, several undergraduate majors are impacted. Graduate applicants are not affected by impaction. Local area applicants: During the initial filing period, CSUN will admit all qualified first-time freshmen and transfer applicants who have attended California schools inside the CSUN-defined local admission area and who have met the minimum standard California State University (CSU) eligibility criteria described at Applicants. The rest of California: Undergraduate applicants from outside CSUN’s local area but still in California will be considered for admission during the initial filing period when they meet both the standard California State University (CSU) criteria and any CSUN supplementary criteria. Impacted majors: All undergraduate applicants from California, regardless of geographical location, need to achieve both the standard CSU criteria and the supplementary admission criteria that CSUN has established for each impacted major. Note: Space permitting, non-local area applicants from California will be admitted until the freshman class, transfer student, and impacted major admission capacities are full. Am I affected by impaction? You are a first-time freshman who graduated from a California high school that is located outside CSUN’s local admission area. For details, please see Freshman Impaction. 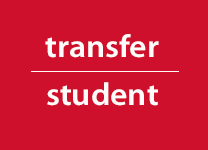 You are a first-time transfer applicant who has completed the required course work and earned most of the 60 units that qualify you for CSU admission as an upper-division transfer student from schools that are not listed among the California community colleges inside CSUN’s local transfer area. For details, please see Transfer Impaction. You have chosen an impacted major, whether or not the California schools you attended are inside CSUN’s local admission area. You will first need to meet CSUN's supplementary criteria for your geographical location and then meet any impacted major supplementary criteria to be considered for admission. 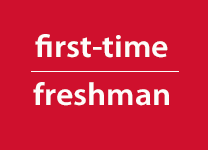 As a first-time freshman, you attended an accredited high school inside CSUN’s local admission area. You must still meet the standard CSU eligibility criteria listed at Freshman Applicant. If you select an impacted major, you will also need to meet that major's supplementary criteria. As a first-time transfer student, you completed most of the course work and earned most of the 60 units required for standard CSU transfer admission at one or more of the 17 California community colleges listed in CSUN’s local transfer area. You must still meet the standard CSU eligibility criteria listed at Transfer Applicant. If you select an impacted major, you will also need to meet that major's supplementary criteria. You are a graduate applicant. You are a nonresident of California. Out-of-state freshman applicants are required to meet a higher Eligibility Index than local area freshman applicants even without impaction; this has not changed. You are a U.S. servicemember (active duty or veteran) applying to CSUN. You are exempt from both “local admission area” impaction and impacted major criteria. Please see Veterans Admissions. Which high schools and districts are inside CSUN’s local area? Please see the map and list of high schools and districts inside CSUN’s local admission area. For students who reside in CSUN’s local area but attended a high school outside the local area, for the purposes of admission, the high school determines residency. For home-schooled students, the applicant’s residency is determined by his or her home address. Which California community colleges are inside CSUN’s local transfer area? Eighteen (18) California community colleges are included in CSUN’s local transfer area. Applicants from the local-area community colleges will be admitted to CSUN by meeting the minimum standard CSU criteria published at Transfer Student. Local-area applicants from California who have chosen an impacted major will need to meet the supplementary criteria for that major, as explained at Transfer Impaction. In order to transfer to CSUN from the local-area community colleges, applicants must have completed a majority of their transferable units at one or a combination of these colleges. CSUN is currently closed to lower-division transfer applications. What are CSUN’s supplementary admission criteria? Freshman Impaction - Admission is based on the applicant's Eligibility Index. Transfer Impaction - Admission is based on the applicant's GPA. Please note that all undergraduate applicants, whether affected by impaction or not, must apply for admission during the initial filing period.